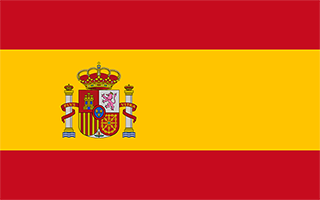 N 41° 39' 21" and W -0° 52' 38"
Zaragoza in Saragossa (Aragon) with it's 674,317 citizens is a place in Spain about 170 mi (or 274 km) north-east of Madrid, the country's capital city. Current time in Zaragoza is now 11:22 AM (Friday). The local timezone is named Europe / Madrid with an UTC offset of 2 hours. We know of 9 airports near Zaragoza, of which one is a larger airport. The closest airport in Spain is Pamplona Airport in a distance of 86 mi (or 139 km), North-West. Besides the airports, there are other travel options available (check left side). There are several Unesco world heritage sites nearby. The closest heritage site in Spain is San Millán Yuso and Suso Monasteries in a distance of 48 mi (or 77 km), North. We encountered 2 points of interest in the vicinity of this place. If you need a hotel, we compiled a list of available hotels close to the map centre further down the page. While being here, you might want to pay a visit to some of the following locations: Cuarte de Huerva, Villanueva de Gallego, Cadrete, Utebo and Maria de Huerva. To further explore this place, just scroll down and browse the available info. Let's start with some photos from the area. 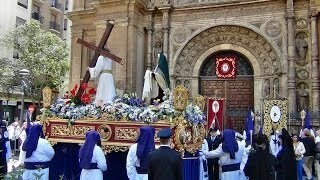 Semana Santa en Zaragoza, emoción en todos los sentidos. 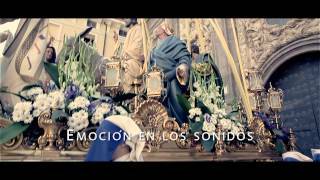 Cuando un sonido conquista una ciudad, es que se ha desatado una gran emoción. Declarada de Interés Turístico Internacional. 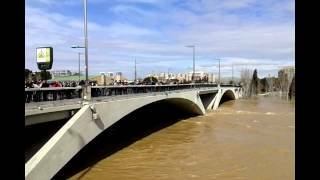 La riada del río Ebro a su paso por Zaragoza en febrero de 2015. 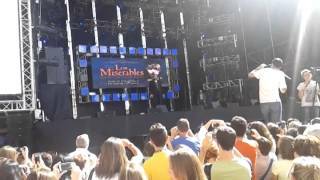 Interpretación de la canción "Sale el sol" del musical de Los Miserables en las Fiestas del Pilar de Zaragoza 2014. 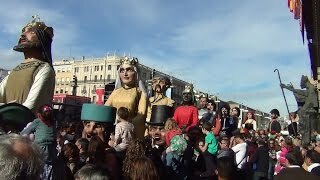 Imágenes de la comparsa de Gigantes y Cabezudos de Zaragoza grabadas el día 11 de octubre de 2014 durante las Fiestas de Nuestra Señora del Pilar. Vídeo promocional en cuatro idiomas y subtitulos en español de Zaragoza Congresos, donde se recoge la oferta de Zaragoza para acoger congresos, convenciones y reuniones de todo tipo. 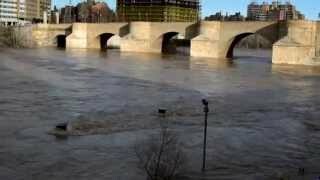 Aspecto que presentaba el Ebro el fin de semana del 28 de febrero y 1 de marzo a su paso por Zaragoza en la zona del Puente de Santiago, Arboleda Macanaz y Club de Natación Helios. The Kingdom of Aragon was a medieval and early modern kingdom in the Iberian Peninsula, corresponding to the modern-day autonomous community of Aragon, in Spain. It should not be confused with the larger Crown of Aragon, of which the Kingdom of Aragon became a member along with other territories such as the Principality of Catalonia, the Kingdom of Valencia, the Kingdom of Majorca or the County of Provence, all of them under the rule of the King of Aragon. Located at 41.65, -0.9 (Lat. / Lng. ), about 1 miles away. Expo 2008 was an international exposition held from Saturday, 14 June to Sunday, 14 September 2008 in Zaragoza, Spain, with the theme of "Water and Sustainable Development". The exposition was placed in a meander of the river Ebro. It was coordinated by the Bureau of International Expositions, the organization responsible for sanctioning World's Fairs. Located at 41.6699, -0.90148 (Lat. / Lng. ), about 2 miles away. The Basilica–Cathedral of Our Lady of the Pillar is a Roman Catholic church in the city of Zaragoza, Aragon, Spain. The Basilica venerates Blessed Virgin Mary, under her title Our Lady of the Pillar praised as Mother of the Hispanic Peoples by Pope John Paul II. It is reputed to be the first church dedicated to Mary in history. Located at 41.6569, -0.878333 (Lat. / Lng. ), about 0 miles away. The Cathedral of the Savior (Spanish: Catedral del Salvador) is a Roman Catholic cathedral in Zaragoza, Spain. It is part of the World Heritage Site Mudéjar Architecture of Aragon. The cathedral is located on the Plaza de la Seo and is commonly known as La Seo to distinguish it from the nearby El Pilar, whose name (pillar) is a reference to an apparition of Mary in Zaragoza (also known as Saragossa). 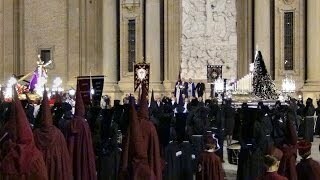 The two share co-cathedral status in metropolitan Zaragoza. Located at 41.6546, -0.87585 (Lat. / Lng. ), about 0 miles away. Estadio de La Romareda is the home stadium of Real Zaragoza, in Zaragoza. It was inaugurated on September 8, 1957, with a game between Real Zaragoza and CA Osasuna (4–3). The official capacity is 34,596, with an average attendance of around 30,000 for Real Zaragoza matches. The stadium has gone through various upgrades, in 1977 and in 1982, when it was a 1982 FIFA World Cup venue. The stadium was also used for football group matches and a quarterfinal during the 1992 Summer Olympics. Located at 41.6366, -0.901822 (Lat. / Lng. ), about 2 miles away. Príncipe Felipe Arena is an arena in Zaragoza, Spain. The arena holds 12,000 people. It is primarily used for basketball and handball. The arena hosted the 1990 and 1995 FIBA Champions Cup Final Fours, as well as the 1999 Saporta cup final in which Benneton Treviso defeated Pamesa Valencia. KISS were scheduled to perform during their Alive/Worldwide Tour on November 29, 1996, but the show was cancelled. Located at 41.6353, -0.866272 (Lat. / Lng. ), about 2 miles away. The Aljafería Palace is a fortified medieval Islamic palace built during the second half of the 11th century in the Moorish taifa of Zaragoza of Al-Andalus, present day Zaragoza, Spain. It was the residence of the Banu Hud dynasty during the era of Abu Jaffar Al-Muqtadir after abolishing Banu Tujibi of Kindah dynasty. the palace reflects the splendor attained by the kingdom of the taifa of Zaragoza at the height of its grandeur. Located at 41.6565, -0.89675 (Lat. / Lng. ), about 1 miles away. Cadrete is a small town in north-east Spain, close to Zaragoza. It is notable for its Muslim castle, Mudejar Church and famous Cardoons. More recently, a massive wind-turbine has been installed at less than 300 metres away from the village, producing several landscape damages and high noise rates for town's inhabitants. Located at 41.5553, -0.959722 (Lat. / Lng. ), about 8 miles away. Cuarte de Huerva is a municipality located in the province of Zaragoza, Aragon, Spain. According to the 2004 census the municipality has a population of 2,582 inhabitants. It is named after the Huerva River. Located at 41.5833, -0.916667 (Lat. / Lng. ), about 5 miles away. Pastriz is a municipality located in the province of Zaragoza, Aragon, Spain. According to the 2004 census, the municipality has a population of 1,216 inhabitants. Located at 41.62, -0.782 (Lat. / Lng. ), about 6 miles away. La Puebla de Alfindén is a municipality located in the province of Zaragoza, Aragon, Spain. According to the 2004 census, the municipality has a population of 3,076 inhabitants. Located at 41.634, -0.748 (Lat. / Lng. ), about 7 miles away. Utebo is a municipality located in the province of Zaragoza, Aragon, Spain. At the time of the 2010 census, the municipality had a population of 17,999 inhabitants. Located at 41.7167, -1 (Lat. / Lng. ), about 8 miles away. Villanueva de Gállego is a municipality located in the province of Zaragoza, Aragon, Spain. According to the 2004 census, the municipality has a population of 3,662 inhabitants. Located at 41.7667, -0.816667 (Lat. / Lng. ), about 8 miles away. The Water Tower (Spanish: Torre del Agua) is a 76-metre-high tower built at the Expo 2008 site in Zaragoza, Spain. It was designed by Enrique de Teresa and constructed of concrete, steel and glass. It consists of a transparent structure erected in a droplet-of-water shape over a big three-storey basement. It provides 10,400 accessible square metres, 3,300 square metres in the basement’s floor and the remainder divided between the ramps and flat lands inside the glass tower. Located at 41.6706, -0.9075 (Lat. / Lng. ), about 2 miles away. The Bridge Pavilion is a building designed by British-Iraqi architect Zaha Hadid that was constructed for the Expo 2008 in Zaragoza as one of its main landmarks. It is an innovative 280-metre-long (919 ft) covered bridge that imitates a gladiola over the river Ebro, connecting the neighbourhood of La Almozara with the exposition site, and thus becoming its main entrance. Located at 41.6667, -0.905031 (Lat. / Lng. ), about 2 miles away. Located at 41.6489, -0.882778 (Lat. / Lng. ), about 1 miles away. The Estadio de San José is a project to build a football stadium which will replace Estadio La Romareda in the neighborhood of San José, in Zaragoza, Spain as the home stadium of Real Zaragoza. The stadium will have a capacity of 43,000. The stadium architects is Joaquín Sicilia, and the cost is estimated between 125 million euros. Located at 41.629, -0.866203 (Lat. / Lng. ), about 2 miles away. Located at 41.7316, -0.812419 (Lat. / Lng. ), about 6 miles away. The 1990 Clinic of Zaragoza radiotherapy accident was a radiological accident that occurred from December 10-20, 1990, at the Clinic of Zaragoza, in Spain. In the accident, at least 27 patients were injured, and 11 of them died, according to International Atomic Energy Agency (IAEA). All of the injured were cancer patients receiving radiotherapy. On December 7, 1990, a technician performed maintenance on an electron accelerator at the Clinic of Zaragoza. Located at 41.637, -0.888 (Lat. / Lng. ), about 1 miles away. Zaragoza Comarca is a comarca in Aragon, Spain. 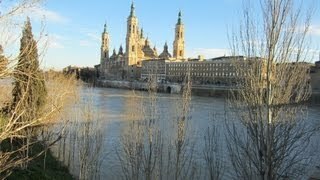 It is located in the center of Zaragoza Province and includes Zaragoza metropolitan area. Zaragoza city gives its name to this comarca. Located at 41.5667, -0.9 (Lat. / Lng. ), about 6 miles away. Villamayor de Gállego is a municipality located in the province of Zaragoza, Aragon, Spain. According to the 2010 census, the municipality has a population of 2,888 inhabitants. Located at 41.6856, -0.773889 (Lat. / Lng. ), about 6 miles away. Located at 41.6614, -0.865556 (Lat. / Lng. ), about 1 miles away. Located at 41.6525, -0.873889 (Lat. / Lng. ), about 0 miles away. Puente de Piedra (English: Stone Bridge) - Bridge across the river Ebro in the Zaragoza. Puente de Piedra is also called the Bridge of Lions because four lions (symbols of the city) are placed on the pillars at both sides of the bridge. Located at 41.6572, -0.875278 (Lat. / Lng. ), about 0 miles away. The Leaning Tower of Zaragoza or Torre Nueva, was the most famous Mudéjar tower of the Spanish city of Zaragoza. It was built in the present Plaza de San Felipe, being the first large building built in the city during the 16th century, from 1504 to 1512. The Council ordered a civil tower to house the public clock -built by Jaime Ferrer- and bells that regulated the life of the city. The bells were placed in 1508. Located at 41.6549, -0.88207 (Lat. / Lng. ), about 0 miles away. These districts belong to Zaragoza. These are some bigger and more relevant cities in the wider vivinity of Zaragoza.